Equinox™ Silicone Putty products are new silicone compounds (platinum catalyst) that can be easily mixed and applied by hand to a variety of surfaces. 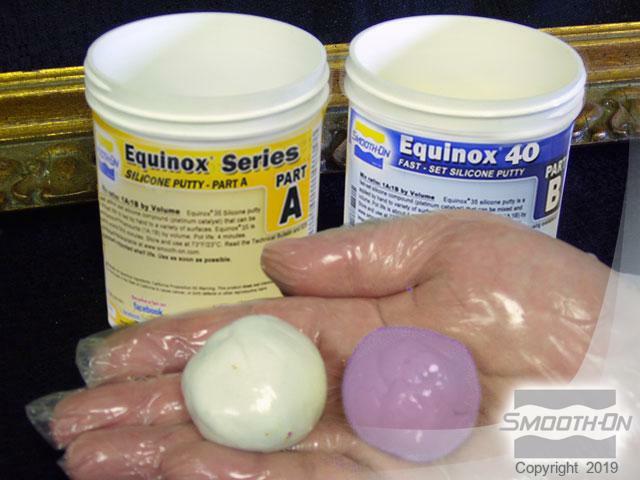 Equinox Putty is mixed in equal amounts (1A:1B) by volume. Pot life is about 1 minute with a cure time of about 7 minutes at room temperature (72°F/ 23°C). 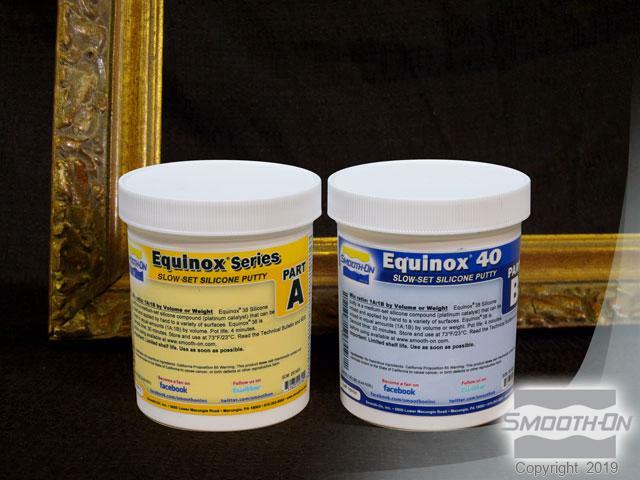 Equinox™ 40 is a slower version with a 30-minute pot life and 5-hour demold time. Equinox™ Silicone Putty is convenient, no mess – fastest, easiest way yet to make a mold. 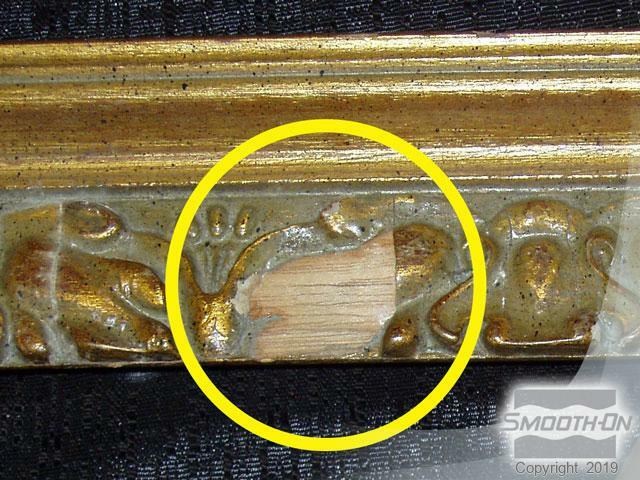 In this example, Equinox™ is used to mold a section of an antique wooden picture frame. A casting is poured into the mold, which is then finished and glued in place to form a perfect repair. Dispense equal amounts of putty in your hand. 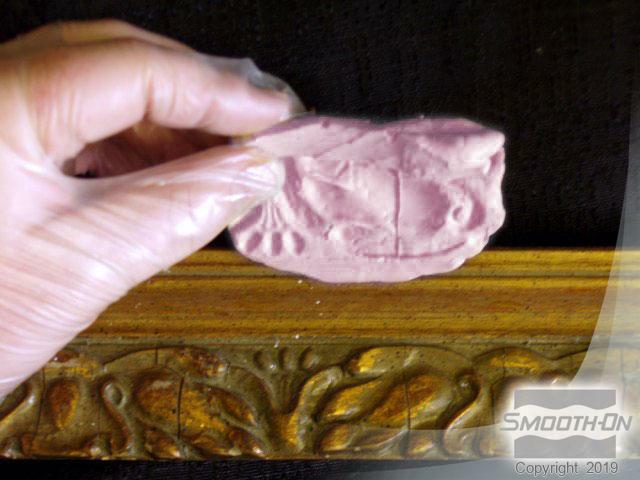 Fold part A around part B until a uniform color is achieved, then press the putty firmly into similar frame detail. 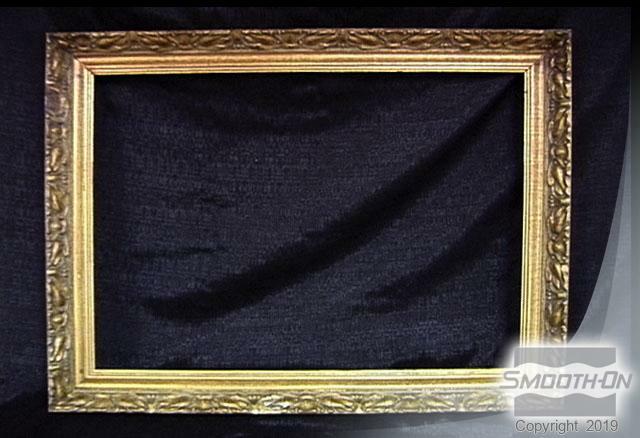 Demold the silicone putty from the frame in 5 hours. 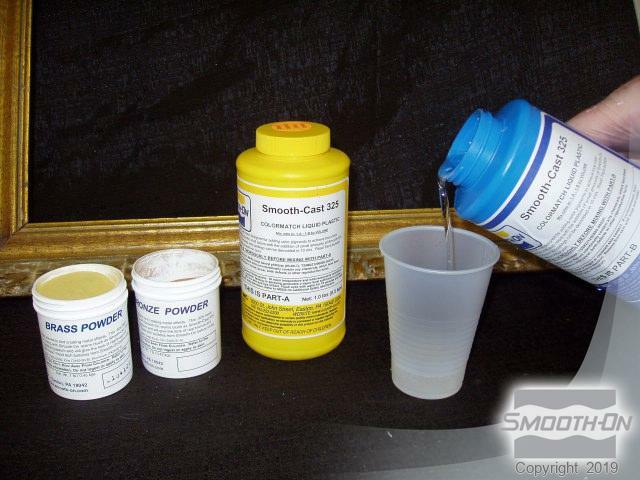 Measure Smooth-Cast&™ 325 resin and metal powders, then mix resin and metal powders together. Fill the syringe with the resin mixture, then dispense the resin into the mold rubber. Demold the casting to reveal the exact detail. Highlight the resin with shoe polish and seal it with clear acrylic spray, then glue the casting into place. You now have a perfect restoration!